Success continues at one of Cardiff’s top performing secondary schools. 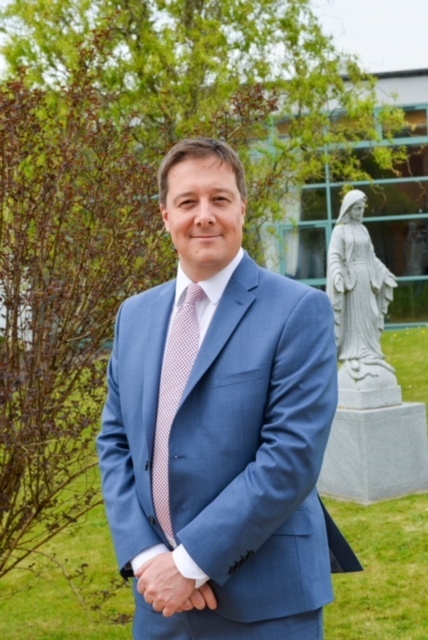 Mary Immaculate High School, located in Wenvoe on the Western side of Cardiff, has once again received the top accolade in the Welsh Government categorisation, making it one of only nine schools in Wales to achieve the top grading for the fourth year running. Mary Immaculate High School is one of the very few secondary schools in Wales to have achieved the top grading of Green 1A every year since categorisation began. This is in a school where over 30% of pupils receive free school meals and two in three come from the most deprived parts of Wales. Mary Immaculate High School’s mission is to push their students to do their best and to promote achievement through hard work and determination, and staff at the school work hard to ensure that their students have the same opportunities as their counterparts in every school in Wales. In order to achieve this, Mary Immaculate staff have focused on developing and implementing two key strategies; a ‘Raising Aspirations & Resilience’ programme and a bespoke support programme entitled the ‘Bridge’ which was awarded sector leading practice by ESTYN in 2015. 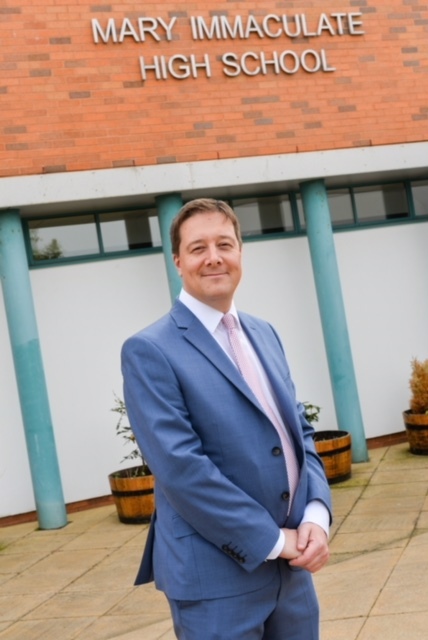 The Raising Aspiration & Resilience programme led by Assistant Headteacher Huw Richards, aims to remove barriers to attainment through setting pupils with high targets to encourage a positive work ethic and motivate learning. The resilience element specifically focuses on encouraging learners to be ambitious and determined in their learning. Pupils have had the opportunity to meet inspirational speakers such as Ryan Jones, former Rugby Captain of Wales, to discuss the trials and tribulations faced in life and the need to overcome these challenges in order to succeed. In addition to this each department is set a budget to provide the students with opportunities that they may not otherwise receive, including taking part in enrichment activities such as theatre visits, working with the school’s Business Class partners or visiting Higher Education partners. The Bridge facility is a step 3 support provision which is well-resourced and valued enormously by students, staff and parents. The provision is highly effective at supporting vulnerable students; by removing their barriers to learning through offering additional support, it allows pupils to return full-time to mainstream schooling. Relationship-building between the pupils, their parents and staff is key to the success of the programme. Pupil behaviour tracking and information sharing is also an important part of the monitoring process. Staff at the school work very hard to engage parents to support their children, and this continues to drive positive outcomes. The Bridge is the central point of contact for all external agencies working alongside the school such as the Police, Social Services, Youth Offending Service, Barnardo’s, and Specialist Behaviour Support. This results in higher attendance, lower exclusions, improved outcomes for pupils at Year 11 and fewer pupils needing formal support.